Rachel is an early childhood/elementary education and linguistics major. She will be student teaching in three different schools during her last undergraduate semester here at Hofstra. 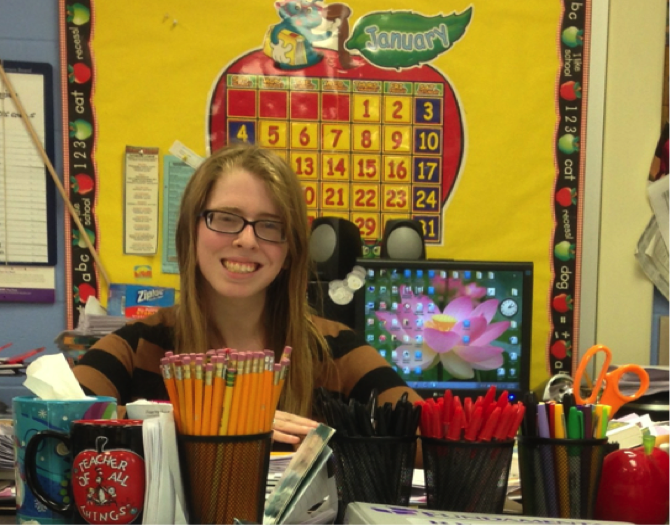 As a senior majoring in early childhood and elementary education, I have had a number of opportunities to observe and teach in various Long Island school districts and classrooms. Each semester has been different; I would be in a classroom for 20, 50 or 90 hours a semester, depending on the classes I was taking. When I found out that as part of the student teaching requirement that I will have to teach in a fourth or fifth grade placement, I was quite nervous since I traditionally work well with younger students. However, I love coming into school during the week to see my students; they’ve been a pleasure to work with. Being in an upper grade at the elementary level has been a great experience. It’s nice that Hofstra gives the early childhood and elementary education student teachers three different placements in three different grades. This provides us student teachers with more insight into which grades we prefer teaching with. This week, I will start student teaching in a second grade classroom until the middle of March. After second grade, I will be in a kindergarten classroom until the middle of May, when I graduate. I’m going to miss my fifth graders so much, but I’m looking forward to visiting them during the year and hearing about what they are learning in school.